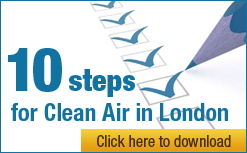 Clean Air in London (CAL) considers the Mayor of London’s evidence to the Environmental Audit Committee (EAC) for the ‘Action on air quality’ inquiry including the oral hearing on 10 September 2014 may have misled it. Key evidence submitted in writing by the Mayor and commented upon by him at the hearing related to revelations by King’s College London (KCL) and The Sunday Times that, in essence, many roads in central London will tend to have the highest nitrogen dioxide (NO2) concentrations of anywhere in the world. There was widespread media coverage of this matter following The Sunday Times’ story. In written evidence, the Mayor implied that this was ‘scare mongering’ and stated that ‘claims that London’s air quality is the worst in the world are inaccurate and should be refuted as it can negatively impact on people’s willingness to walk and cycle more’. In CAL’s considered opinion the Mayor has made statements to the EAC and elsewhere the effect of which is to distract people from the original revelation i.e. to suggest media coverage was about air quality in general not the highest NO2 in particular. Perhaps worse, the 155 page report published by the Mayor on 10 or 11 September and submitted to the EAC, which took well over a year to produce, focused on average air pollution levels of many sorts and as far a CAL can see did not mention or identify a single monitoring site in the whole world reporting higher annual or hourly levels of NO2 than reported in Oxford Street (or Brixton Road where NO2 levels are also exceptionally high). In any event CAL has been unable to verify the Mayor’s claims not least because section 5.2 of the AMEC report, referred to as describing the methodology on which they seem to be based, does not exist in the published report. Further, CAL was sent by the Greater London Authority (GLA), following a related Freedom of Information request, a copy of a letter from the GLA to KCL dated 14 July 2014 (Appendix 1) which appears to do the opposite of encouraging and supporting KCL for highlighting bravely and honestly the extraordinary levels of NO2 in London i.e. it seems to criticise and intimidate KCL (which KCL may feel unable to admit). CAL has therefore decided, given the exceptional nature of this situation, to disclose correspondence it had with the Mayor’ office in December 2012 (Appendix 2) after it expressed concerns about the Mayor lobbying for changes to air pollution laws, the effect of which would be to weaken those laws. CAL hopes that by publishing these two communications it will encourage more transparency and scrutiny of communications between the Mayor or his office and those seeking in good faith to highlight issues of great importance to London. Given the nature of issues, CAL hopes the EAC will invite the Mayor to attend a further oral evidence hearing at which he would be asked to address the concerns raised in this letter. Set out below is more information on the above. The Government and the Mayor have downplayed the health impacts of NO2, failing to mention that it is the only ‘modern’ molecule within the whole gaseous component of air pollution subject to World Health Organisation (WHO) guidelines and British and European Union legal limits. Whereas the particle component of air pollution is regulated by its total mass concentration, gases other than NO2 are largely ignored. It is vital therefore that levels of NO2 are reduced to avoid: its direct health effects and those of other toxic pollutants from combustion; and its contribution with nitrogen monoxide as a precursor to the formation of deadly particles. Sulphur dioxide, which is also regulated, has been largely eliminated as a problem by the use of ultra-low sulphur fuels. In February 2014, a review and meta-analysis of long-term studies of the impacts of NO2 concluded “There is evidence of a long-term effect of NO2 on mortality as great as that of PM2.5” and “An independent effect of NO2 emerged from multipollutant models”. Given the exceptionally high levels of NO2 in cities like London compared to PM2.5 in Chinese or Indian cities, it is possible therefore that mortality is those cities attributable to NO2 will be higher – perhaps much higher – than that for fine particles (PM2.5) (which has long been understood to be the biggest risk from invisible air pollution) e.g. more than 4,300 attributable deaths per year in London. CAL would like to know whether the Mayor or the GLA Group has commissioned or is aware of work on mortality estimates for NO2 in London and if so for an indication of the scale of them. Please note that whereas some 75% of PM2.5 and PM10 in London originates from outside the city, the position with NO2 is broadly the opposite i.e. some 75% originates from within the city and is therefore a better indicator as a pollutant of the Mayor’s ‘success’ in reducing air pollution. Two articles appeared in The Sunday Times on 6 July 2014. Selected quotes are shown below. David Carslaw of King’s College, who researches vehicle emissions, said that Oxford Street’s annual mean of 135mcg [micrograms per cubic metre] was more than three times the EU limit and that levels had exceeded the hourly limit of 200mcg 1,568 times. “To my knowledge this is the highest in the world in terms of both hourly and annual mean. NO2 concentrations [in Oxford Street] are as high as they have ever been in the long history of air pollution,” he said. Boris said: Such measures have been considered in London but a spokeswoman for Boris Johnson, the mayor, said that while NO2 might be high, levels of other pollutants such as particulates were “lower than in many world cities”. Johnson has announced an ultra-low-emissions zone in central London but not until 2020. The article explained the connection between NO2 and diesel exhaust. The Mayor submitted written evidence to the EAC dated 28 August 2014. 7.2 In assessing air quality it is important to remember that a proper assessment can only meaningfully take place by looking at the full range of pollutants which affect human health (particulate matter, carbon monoxide, lead, sulphur dioxide etc). Focusing on NO2 does not by itself give a satisfactory understanding of a city’s performance in tackling air pollution. Additional weight should be given to those air pollutants where evidence suggests they have a more significant impact on human health. 7.3 It is also important to remember that London has the most comprehensive monitoring network of any city in the world. London also has a proud history of locating its monitors in the most polluted places (often on the central reservation of the road or at kerbside). Some cities – especially those where resources may be limited or air pollution is less of a priority – have smaller networks, locate them at “background” sites or may not monitor pollution at all. 7.4 The preliminary results from the report show that average levels of NO2 across monitoring sites near busy roads in Stuttgart, Paris, Munich, Rome and Milan are all higher than those recorded for London. Mexico City’s levels are nearly double those of London, and Hong Kong, Istanbul, Beijing and Shanghai all have higher average readings as well. The published version of the AMEC report calculates a City Index for NO2 for each year (2008 – 2012) and the five year average in Table 10.1 on page 55. This seems to form the basis of the claims by the Mayor. The introductory text before the table says “The method described in section 5.2 has been applied to monitored data for the selected cities to calculate indices, to rank the cities by concentrations of individual pollutants.” Very oddly, Section 5.2 does not exist in the published final report and the underlying data for the calculations was not published or practically assessable. CAL has been unable therefore to establish the basis for the Mayor’s claims. failed completely to address the fundamental point made by KCL i.e. that many roads in central London will tend to have the highest NO2 concentrations of anywhere in the world. CAL has been saying and publishing evidence since 2012 that London had reported the highest levels of NO2 of any capital city in Europe. In CAL’s opinion therefore, there are serious questions about the value of the report being presented by the Mayor in the context of the debate and concern about actual monitored levels of NO2 in London. Worse, the Mayor’s statements on the issue, presumably based at least in part on the report, seem to downplay the serious health risks faced by Londoners relative to other European cities. Please note that CAL is not criticising in any way AMEC or its employees rather that the Mayor failed properly to commission the report or draw appropriate conclusions from it. Levels of actual monitored levels of NO2 at the worst sites in London and Marylebone Road can be seen on the excellent London Air Quality Network website managed by KCL. The links below show air pollution levels in 2014 (and earlier years) and graphs of NO2 levels since 2008. CAL is concerned that the trend for NO2 reported by the Marylebone Road monitor appears to be diverging from that of other monitors in London. CAL would like to know whether the Mayor or the GLA Group has used or encouraged special measures to reduce NO2 near the monitor used to report the highest levels of this pollutant to the European Commission i.e. the Marylebone Road monitor used for reporting compliance with Directive 2008/50/EC. CAL submitted a Freedom of Information request to the GLA on 13 July 2013 requesting copies of communications between the GLA and KCL in relation to The Sunday Times story. The GLA subsequently volunteered the attached letter to KCL which was dated 14 July 2014 (Appendix 1). 100 MPs responded to a survey for CAL by DODS (Appendix 3). They were asked to ‘Rank the following risk factors in terms of the number of early deaths attributable to them in the UK annually: air pollution; alcoholism; obesity; road traffic accidents; and smoking (excluding passive smoking)’. Air pollution was ranked as the lowest risk factor by respondents, with an average ranking of 4.1 out of 5 (with 5 denoting fifth rank). Although this represents a slight improvement on 2013 it is too small to say that there has been a definite change in MPs’ attitudes. Labour and Liberal Democrat respondents placed air pollution fourth of the five factors, ahead of road traffic accidents. Conservatives placed it fifth. This is a change on 2013, when all three parties placed it fifth. Unlike 2013, respondents from London were less likely than average to see air pollution as a major factor in premature deaths. Those representing constituencies in the capital scored air pollution at 4.4, 0.3 points higher than the average ranking. In 2013, respondents from London scored air pollution lower than the overall average (meaning that they were more likely to see it as a threat).